A 56,683 km highway network linking the countries of Africa - a network we will no doubt use! 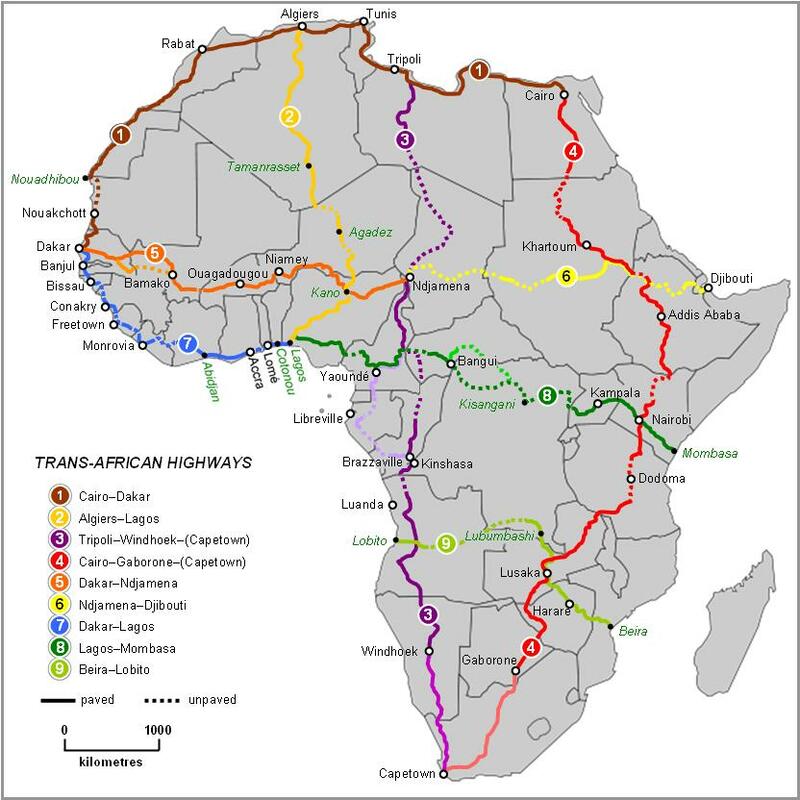 The Trans-African Highway network aims to promote trade and alleviate poverty in Africa though highway infrastructure development and the management of road-based trade corridors. The total length of the nine highways in the network is 56,683 km. Unfortunately for us, a large number of these are not what you would call "wide open tarmac"... or rather, perhaps they are, but not for the usual reason! "Potholes" will be the word of the day I think! This is an admirable end goal indeed, but I think there's quite some way to go.